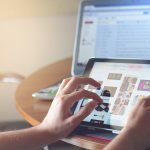 Laptops need to be portable and this puts constraints on the size which affects the screen size as well. Typical sizes are between 13 and 15 inches. However there are laptops with wider screen sizes like 17 inches. This makes the laptop larger in size and also pushes the price upwards. And yes, it also makes the laptop heavier. Larger screen sizes are desirable when you need more screen space. 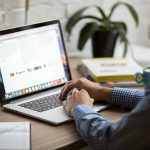 There are numerous applications that demand larger screen sizes and sometimes its even a matter or personal preference to go with a laptop that has more visible area. If your task involves working with multiple applications at a time, then you probably would need to see them side by side, or if you are playing a game you would want to see more virtual world in your screen. Photographers and video editors also look for larger screen sizes to make things more visible. Gamers wouldn't really achieve the best experience with just a small display. In addition, such user would not really care about the sleekness and the design of the laptop but more with its speed and performance. Also, some old school individuals don’t really want to lose the "Desktop Computer" feel. Even after the advancement of miniature gadgets, it is still hard enough to get a fine machine with all Desktop Computer capabilities in less than 15 inches display. You can save a pretty decent amount of space by choosing of a 17 inch screen. It will give you all the advantages of a full-fledged desktop, without taking up the entire room space. And of course, there are some photographers and media artist who would instead bear a large-sized machine rather than squinting their eyes to smaller displays while creating their masterpieces. Basically, if you are looking for a laptop that would suit your job, and hobbies, it is always a good idea to get that 17 inch laptop because of its performance, and excellent interactivity. Since 17 inch laptop have larger displays and requires more powerful components such as graphics processing unit, it will cost more. So in today's article we have found out for you some of the best 17 inch laptops that fit within a tight budget and get you the most. You can now enjoy an incredible great interactivity experience with the Flagship Model HP Pavilion because it offers a lot of prominent features not just with streaming videos, Wi-Fi access, energy efficiency, video chat, and surfing but a whole lot more! Let’s set it clear by seeing its excellent features. 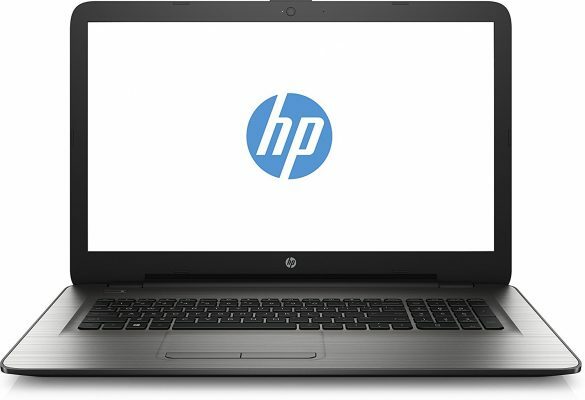 A very good starter laptop particularly for those college students who need something portable and also have a similar flexibility of a typical high-end desktop computer. 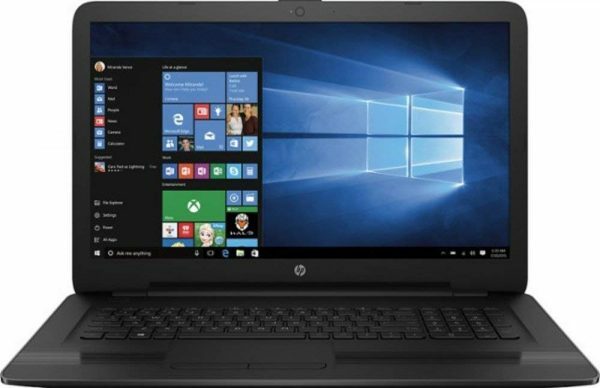 You would love everything about this laptop especially because it is integrated with high-speed Wi-Fi access that can do basic multiple tasks very effectively. With its 17.3 inch HD + BrightView display it will showcase your games and favorite movies with high-quality clarity and color, and thus you will certainly enjoy vivid visuals while watching movies and playing games. In addition, it has built-in dual speakers which have rich sound for an immersive audio experience. One great feature it has is its built-in HD webcam, which is really helpful when video chatting with your friends, and of course your family. Worth the buy because of its vivid display, and rich sound output. IdeaPad 320 is specially designed for every consumer to simplify their everyday life especially with their jobs. IdeaPad 320 can handle any task efficiently and effectively because of its extra powerful processing and integrated Intel HD graphics. It is preloaded with Windows 10 Home, on which you will get a personal assistance of Cortana, specifically made to help open apps and answer your inquiries. This product is designed to help you with everyday tasks such as writing and editing documents with ease, and browsing the internet faster. With its 17.3 inch display that has a 1600 x 900 resolution, you can now enjoy clear and crisp HD movies and TV shows. In addition, IdeaPad 320 is built in with an HDMI port which you can use to connect an external display for larger viewing and improved multitasking. As for specs, it is equipped with Intel Core i5-7200U dual-core processor, a 256GB SSD + 1TB SATA HDD storage providing faster excellent data access, and faster startup times, as well as an 8GB of DDR4 RAM, which significantly reduces heat generation and increases energy efficiency. In terms of durability, IdeaPad 320 is redesigned with a sleek unibody chassis, and mixed a uniquely playful Platinum Grey color. Improved yet, this product is designed to synchronize with your needs. It is treated with a special protective polishing to guard from wear and tear. It also has added rubber feature on the bottom to significantly optimize ventilation and prolong the product’s life. Have fun with 25 seconds windows boot time that possesses incredible speed and performance with a beautiful design. If you love interactivity more than anything else, Dell Business Flagship Laptop PC 17.3 inch will give you what you’re looking for. Equipped with a tremendously powerful 6th Generation Intel Core and Dual core processor it will no doubt keeps up with all your multitasking demands and will certainly enable new ways to interact with your laptop. 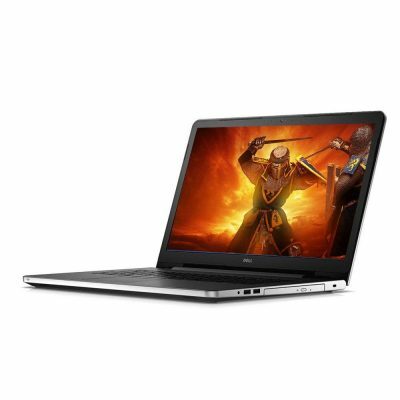 Dell Business Flagship Laptop 17.3"
Intel HD Graphics 520 graphics. With a stunning 17.3” diagonal HD + SVA Bright View WLED-backlit Display, this cool laptop will certainly provide you with reliable speed, and performance, as well as long-lasting battery life so that you can easily stream, surf, and stay in touch with important matters and people. You will never be worried anymore about storage because it has a massive memory that is surprisingly as big as 12 GB DDR3 SDRAM which is really great especially if you are a movie and video editor, and a collector. It is now impossible for you to fail from your business video chatting. With its front-facing HP TrueVision HD Webcam with integrated digital microphone 802.11 ac, you’ll be most likely get successful with whatever long-distance business you’re into. Want to run multiple programs simultaneously, and transition seamlessly between web tabs without any millisecond delay? Now you’ll be able to multitask with ease because of the lightning-fast responsiveness and excellent performance of Lenovo Built Business Laptop 17.3 inch because of its 7th Generation Intel Core i3-7100U processor with plenty of 6GB DDR4 memory. 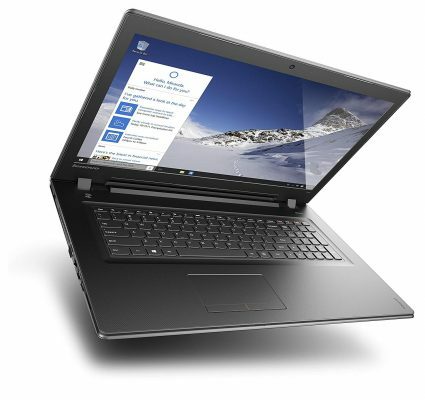 Lenovo Built Business Laptop 17.3"
2017 Lenovo Built Business Laptop PC has brilliant resolution display which offers HD +1 600 x 900 resolution. In addition, you’ll certainly enjoy true visual clarity when streaming, browsing the web, watching movies, and many more! If you are having a hard time deleting your precious old files, you’ll be at ease because this product has 1TB hard drive that will store large sized programs, documents, songs, and videos. This product is real nice and fast. The laptop’s keys have nice size which will make it easier for user with large hands to interact with the laptop easily. Access wireless networks to surf the Web, share files, and exchange e-mail because of its wireless-AC (802.11ac) that will surely give you excellent performance, and cable-free networking. Definitely worth the money. 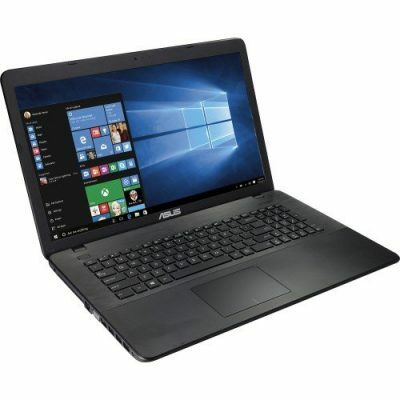 ASUS Pavilion 17.3 inch laptop is excellent for all purposes, both office and home. Its large screen is just great. It is everything that you would come to expect from an ASUS computer. Buying an ASUS product is definitely worth the time and effort because it is durable, reliable, and perhaps has the best value out there among laptops. You’ll most probably love ASUS Pavilion 17.3 inch Laptop because of its thin and light weight even for such large sized. A typical solid manufacturing as ASUS always does. This product has amazing keyboard and large touchpad with great connectivity. You’ll have no problem with any keys. ASUS Pavilion 17.3 inch Laptop is an excellent multi-purpose piece because of its 5th i3 processor and 6 GB RAM that can handle most needs from every work and duties. In addition, it has a large storage space, and a DVD burner that can be used to back-up any important files and documents. You’ll enjoy watching movies on it because of its gorgeous large screen. It comes with the latest Windows 10 which is a good thing because of its many new features. A friendly advice, it’s not really that great as a gaming laptop but incredibly amazing for your daily laptop jobs! 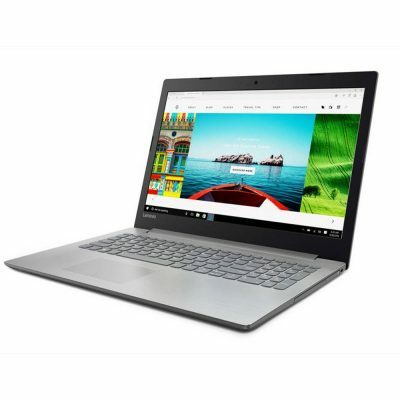 Lenovo IdeaPad 300 is very ideal for streaming videos and music because it possesses excellent fast internet speed, incredibly superior sound that comes with enhanced audio, and a large vibrant 17” display. Not just that but you’ll also get great amount of storage memory and space to access all your own files such as videos and photos very easily, and efficiently. 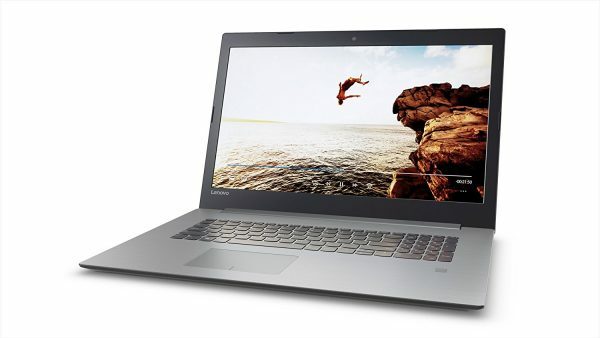 A perfect laptop for every day, tasks, productivity, and entertainment. Thanks to the experts of Dolby laboratories, its stereo speakers are better and louder than ever. A Dolby audio trademark. You can also now make the most of your Lenovo IdeaPad 300 because of its integrated HD graphics that gives the ability to edit photos, render home movies, and even play games with utmost quality. As for value and versatility, this product is especially designed for deal-seekers. It provides reliable and fast performance for both leisure tasks and productivity that won’t really break the bank. Get immersed with Lenovo IdeaPad 300 in terms of entertainment because of its bright, crisp visuals and audio in a 16:9 widescreen format. Because of its Dolby features, you will certainly get satisfied with your entertainment experience. 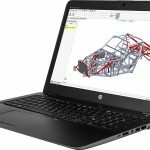 Why HP 17.3" Notebook is among the list of this guide? Simple, it’s because it provides crisp detail, and easy navigation while giving amazing graphics. You will also be able to keep up with your most demanding tasks because of its integrated powerful 5th generation Intel Core processor. In addition, you can capture all intricate details with its vibrant clarity, even in low light. 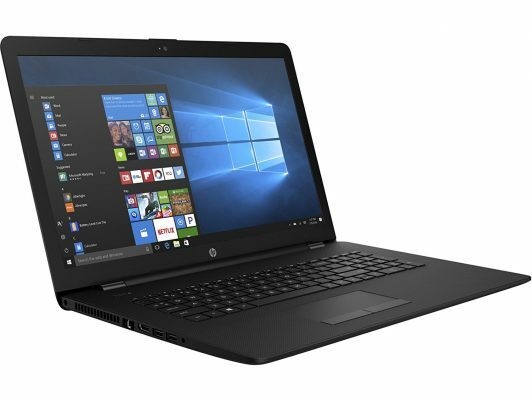 HP 17.3” Notebook is quite your inexpensive laptop but undeniably possesses stupendous speed and performance. It has huge screen size, Intel chipset, 1 TB of storage, and has a sleek and modern design. You can now keep up with your most demanding duties because of its powerful 5th generation Intel Core processor. In addition, experiencing crisp detailed visuals with an HD + display will be consistent. With its great performing Intel processors, and plenty of hard drive space, and a prominent system memory, you’ll have the ability to multitask on various tabs and apps, as well as store more large files and documents. You’ll love this product’s simplicity because it is so easy to set up yet provides excellent performance. 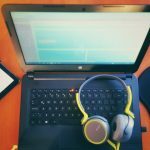 It is great for writing, editing, and doing research. You can have two windows open at the same time and simply read both screens. You can purchase this laptop without spending that too much of a fortune, and thus it is very good for college students. A gadget you can heavily rely on with your work and play because of its integrated latest processor. Worth the price because of its long-lasting durability even though on a laptop designed. Stay entertained as much as you want and keep connected with your friends and family with its long-lasting HP fast charge battery as well as rich HD display. With its incredible speed, you’ll never had any frustrating moment when working or doing some stuffs. Perfectly designed inside and out for your everyday lifestyle because of its playful patterns, unique textures, and a chrome plated hinge that will surely add color to your life. You probably would have noticed by now that most of the above laptops have traded certain hardware features to get 17 inches of display within budget. Most laptops have less powerful processors and lesser RAM. Because a more powerful processor or more RAM costs more. If larger display size is your priority over powerful hardware then there should be no problem in selecting on the above laptops. 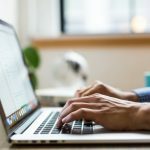 If you are doing more of reading, typing work of if you are just doing some low intensity graphics work like photoshop then the hardware capability found in these laptops should be sufficient. 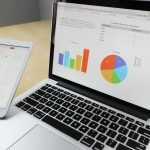 However, if your work does demand more hardware power like i7 processor or 16 gb of ram, then you definitely have to look for alternatives like a laptop with more powerful laptop and smaller display, or increase your budget and be ready to spend more. So think over your needs and choose wisely. If you have any questions do let us know in the comments below.